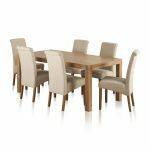 It's all about simplicity when it comes to the stunning dining set. 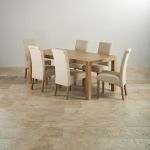 Our 6ft Alto dining table takes centre-stage, finished in our popular Natural Solid Oak style. 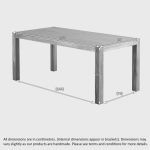 The table is all about clean lines, and showcases those with a simple shape and beautiful finger joints on the table corners. 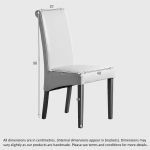 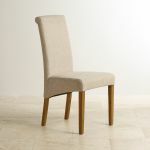 Paired with 6 Scroll Back chairs in upholstered beige fabric, this dining stay stays fresh and modern feeling. 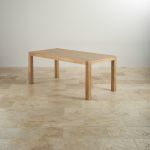 The highest quality of hardwood is used throughout the set to ensure that each piece stands the test of time. 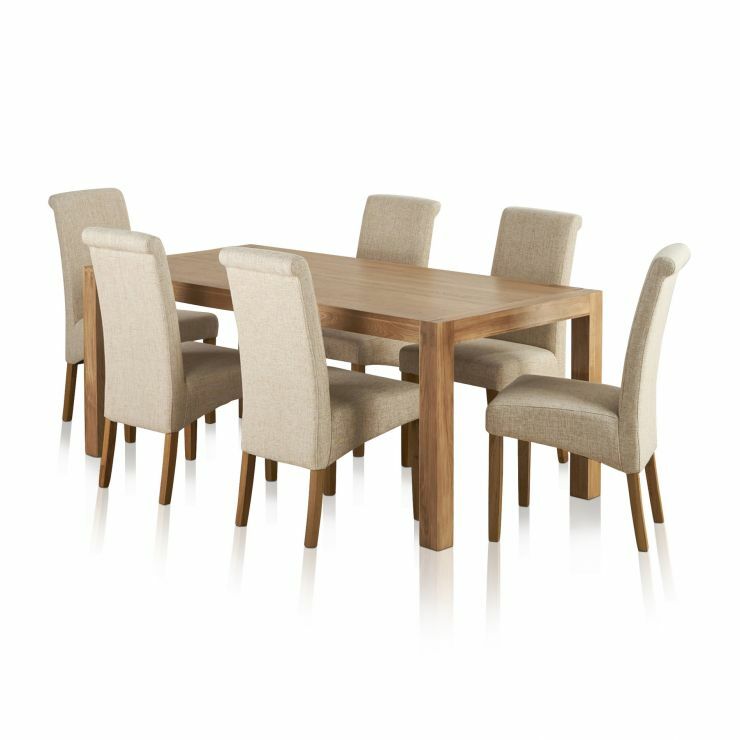 This dining set will match any of our Natural Oak ranges, so be sure to browse our other dining room furniture options too to complete the look.